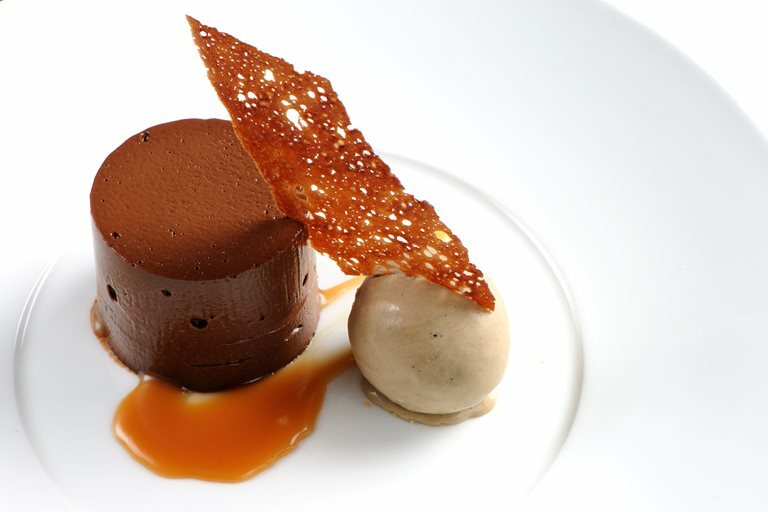 With a luxurious mousse-like texture, Matthew Tomkinson's dark chocolate delice is a truly indulgent dessert. If that wasn't enough, there's a salted caramel sauce, coffee ice cream and a crisp cocoa tuile for elegant presentation. The coffee ice cream recipe will make plenty, so there'll be extra to stash in the freezer for a quick treat, or impromptu pud.